When young women finish partying, they often find it difficult to walk in their high heels! 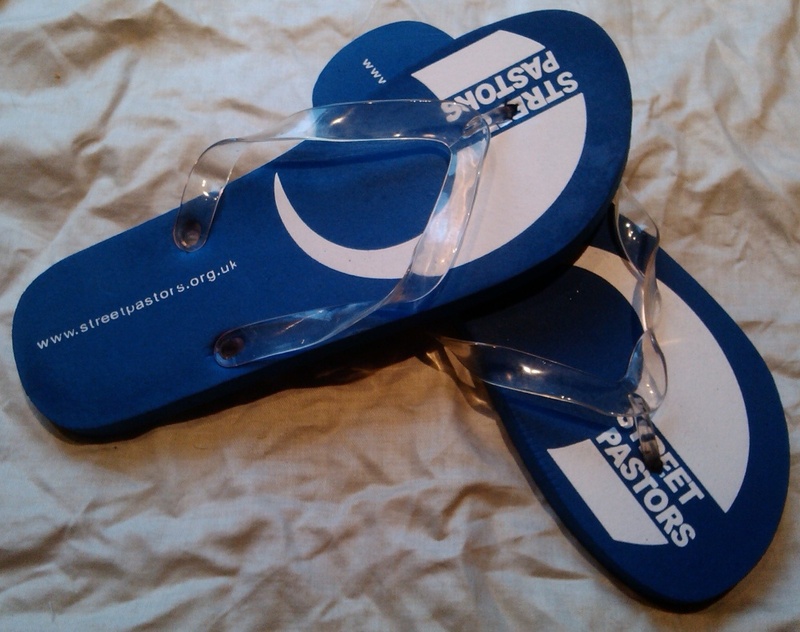 They can be found leaving clubs on bare feet, so not only do Street Pastors collect broken glass and bottles from the street, they always carry flip-flops to give them so they’re both safe and comfortable. One time we gave 12 pairs away in one night! We’ve just ordered 120 new pairs at only £1.50 per pair. Would you like to donate us a couple of pairs?